Michigan summers are really something this time of year. It’s never too hot, the days are long, and it’s easy to get outside and participate in a variety of fun activities. Although recently, the air has been a bit crisp in the evening. In the great Wolverine State, that means fall is on the way and winter is not far behind. Yes, winter can be a very pretty time of year. However, all that snow, slush, sand, and salt ultimately ends up in one place: the interior of our vehicles. One question we are often asked as car experts is how to prevent such things. How do we preserve a vehicle’s interior when it’s impossible to keep winter outside, where it belongs? The answer is simple and affordable, and this year, eBay Motors is helping us prepare for winter well ahead of time. Our company vehicle is a 2016 Fiat 500X crossover, a small and efficient automobile perfect for navigating the Detroit metro area. We are completely satisfied with the vehicle, except the stock cloth floor mats. Last winter, when the snow we inevitably tracked into the vehicle melted, it soaked right through the mats. After a few days, a pungent order was noticeable. It’s not just the Fiat cloth mats either. 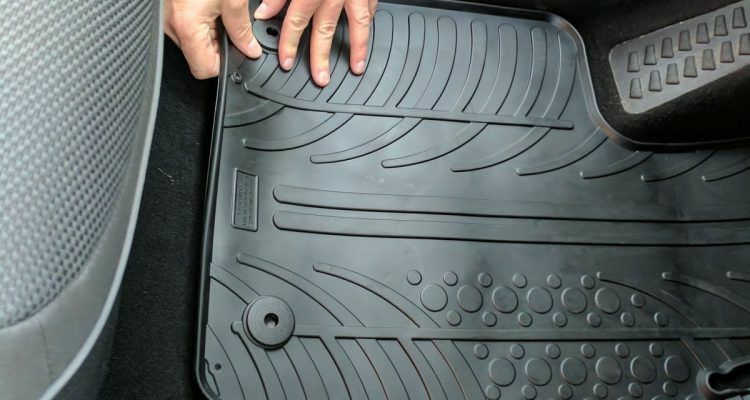 We are not fans of most stock cloth floor mats, regardless of the manufacturer. After last winter, we resolved to get something better. Thankfully, eBay Motors has a great selection of weatherproof accessories. We landed on a set of Gledring All-Weather Rubber Floor Mats. “Thank you to eBay Motors for sponsoring this post and helping me find the perfect parts and accessories This post was written by me through an activation with HireInfluence on behalf of eBay Motors. 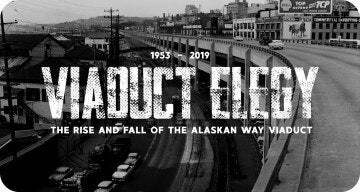 Although I received compensation for participating in the campaign, all thoughts and opinions are my own.” ~ Carl Anthony is Managing Editor of Automoblog and resides in Detroit, Michigan. Photo: Danielle Flint for Automoblog.net. When it comes to upgrading a vehicle with valuable parts and accessories, it’s not necessary to go big. Oftentimes, when we think of aftermarket upgrades, we think about turbos and superchargers and suspension gizmos. 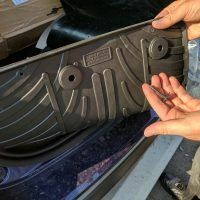 The truth is, all-weather floor mats are one of the best, most affordable upgrades any car owner can buy. 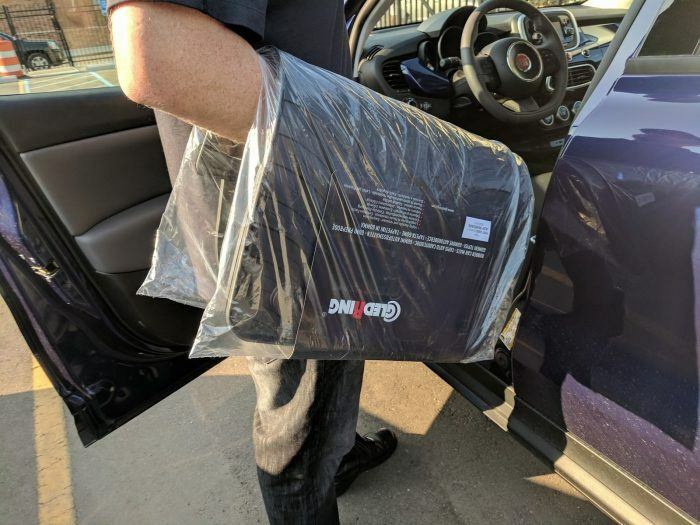 The Gledring all-weather mats for our 500X were $74.99, a good deal considering how much they will protect our interior. And, eBay Motors isn’t just a great place to find aftermarket parts and accessories. They also sell new. In fact, 81 percent of items sold on eBay are new, while 88 percent of items can be purchased with the buy-it-now feature, no bidding necessary. A high-quality set of all-weather rubber mats is an essential aftermarket upgrade, regardless of where your home is. I have talked a lot about winter climates, but even in sunny states, a set of Gledring all-weather rubber mats will provide value. 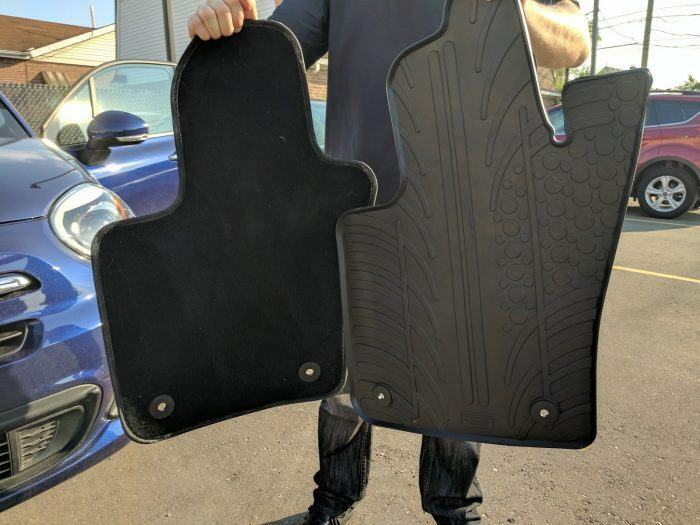 Notice how much more robust the Gledring mats from eBay Motors are (right) versus the stock mats that came with our 2016 Fiat 500X. Photo: Danielle Flint for Automoblog.net. For outdoor enthusiasts or beach buffs, the Gledring mats will easily catch dirt, dust, and sand. Unlike cloth mats, the Gledring all-weather mats are much easier to shake out and clean. 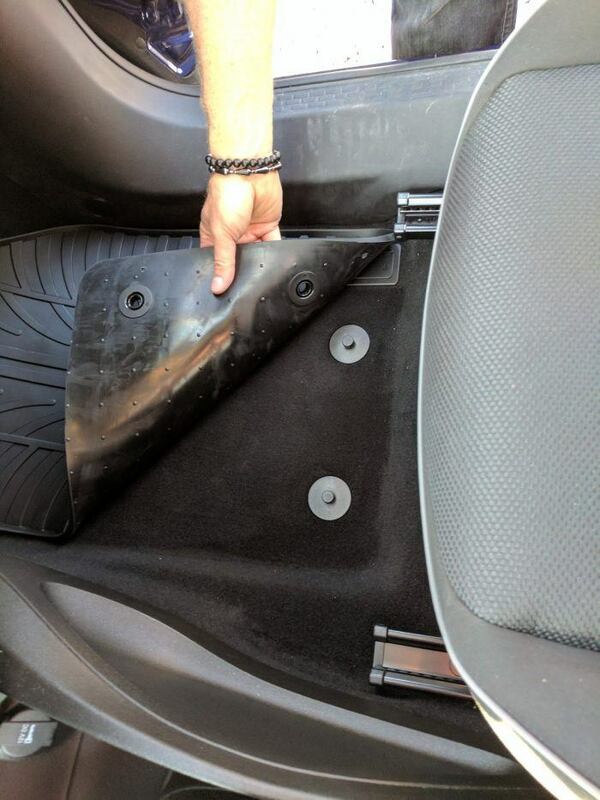 With cloth floor mats, sand and dirt can get trapped to the point where a vacuum is needed to fully remove all the debris. Despite their high power, vacuums at car washes are often unable to get every last pebble out of a cloth floor mat. During the winter, the Gledring rubber mats will prevent melted snow from soaking through. Any salt or sand from the snow will remove easily as well, since the rubber surface is smooth. Although the Gledring mats from eBay Motors offer solid weather protection, they have another distinct benefit. We had no sooner put them in to find ourselves cleaning up a coffee splatter and a spilled protein shake (yeah, don’t ask). Those of us who are clumsy with a coffee cup or shaker bottle will greatly appreciate a set of Gledring all-weather mats. Installation was a cakewalk. It took us only a few minutes, although there are two notes to consider. The Gledring all-weather mats are bundled together with plastic tabs. 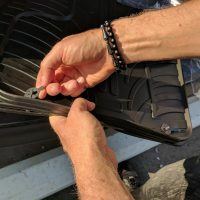 We saved the tabs just in case – not that we foresee ever removing the mats from our 500X, but the plastic tabs will keep them together and make for easy storage. 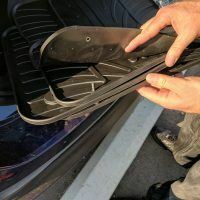 When placing the Gledring mats inside, make sure they are good and snapped down; we don’t want anyone to end up with a mat obstructing the brake and gas pedals. Our Fiat 500X is leased, which means there are not many upgrades we can do to it. A leased vehicle must be returned to the dealership at the end, and usually, there is very little room in a leasing contract to modify the vehicle. All-weather floor mats, however, are fair game. Another affordable interior upgrade we would consider is this rear cargo-area liner. For car-leasers that still like to tinker under the hood, we would recommend any number of Mobil 1 synthetic oils. eBay Motors has a good selection of oils and lubricants to ensure optimum engine performance. Parts and accessories like these provide additional protection without violating the terms of the lease. Always make sure the all-weather mats are secured to the floor of the vehicle. Line them up with the tabs sticking out of the floor and give them a good, solid press. This will minimize the chances of them bunching up unintentionally near the gas and brake pedals. Photo: Danielle Flint for Automoblog.net. eBay’s large selection makes it easy to make any of these upgrades happen and find the exact one you’re looking for. Further, eBay Motors is fast easy and convenient. eBay’s recent summer roll out of Guaranteed Delivery ensures delivery to U.S. customers in three days or less on more than 20 million eligible items. Many of these items will ship for free, and some products will be delivered even faster – one or two days, guaranteed. eBay also offers trusted, protection programs like the Assurant Protection Program, to put you at ease when purchasing parts. Our 2016 Fiat 500X is always on the road and the interior wear is noticeable. 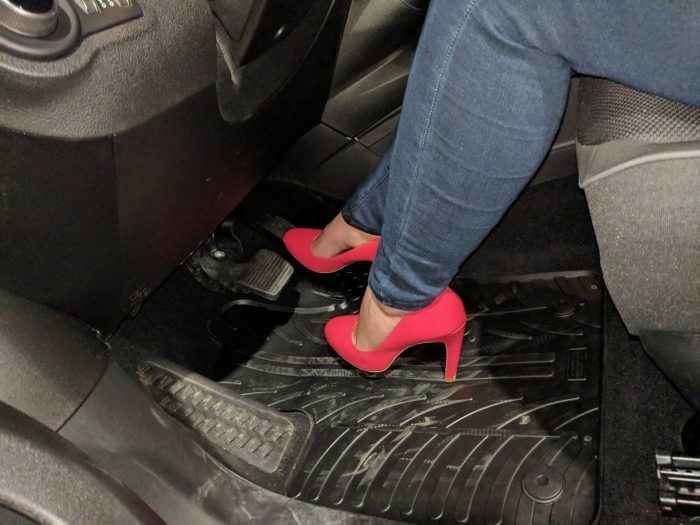 One of our staff members often wears heels when she drives our vehicle; high heels can wear through cloth mats in a hurry. We believe the Gledring all-weather mats from eBay Motors will hold up much better over time when exposed to the pointed heel of her shoes. Photo: Danielle Flint for Automoblog.net. No Comments on "Easy Winter-Proof Part Upgrades for Leased Vehicles with eBay Motors"